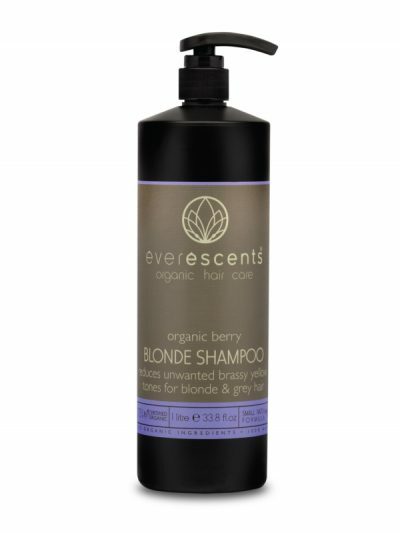 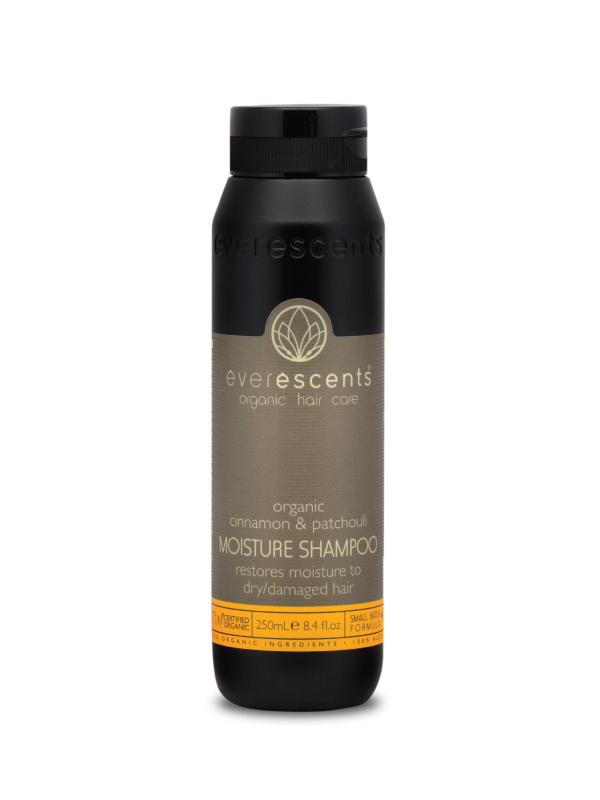 The EverEscents Cinnamon & Patchouli Moisture Organic Shampoo will be sure to revitalise even the most damaged hair type! 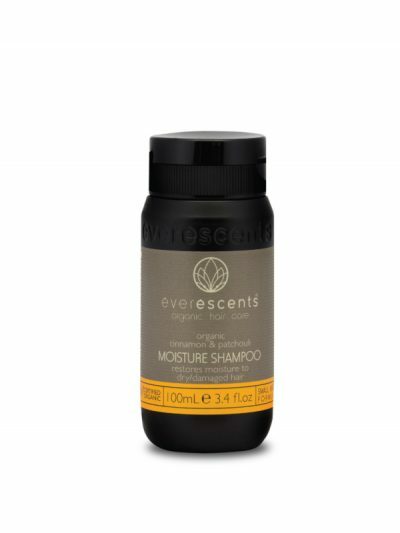 A high moisture formula enhanced by Lexfeel Natural (a natural castor oil emollient) will ensure that your hair is left feeling revitalised and nourished. Aqua** (Purified Water), Sodium Lauroyl Methyl Isethionate** (sulfate free mild cleansing agent derived from renewable resources), Coco Betaine** (mild foaming agent derived from coconut oil), Pureact WS™** (sulfate free mild cleansing agent derived from coconut oil), Vegetable Glycerin** (moisturiser), Guar Hydroxypropyltrimonium Chloride** (mild thickening agent), Rosmarinus Officinalis Leaf Extract* (Rosemary), Sage Officinalis Leaf Extract* (Sage), Tilia Cordata Flower Extract* (Linden), Glycol Distearate** (natural emollient derived from canola), Urtica Dioica Extract* (Nettle), Betula Alba Extract* (Birch), Heptyl Undecylenate** (EcoCert natural castor oil emollient), Equisetum Arvense Leaf Extract* (Horsetail), Achillea Millefolium Extract* (Yarrow), Vanilla Plantifolia Fruit Oil* (Vanilla), Vetiveria Zizanoides Root Oil* (Vetiver), Pogostemon Cablin Oil* (Patchouli), Cinnamomum Zeylanicum Leaf Oil* (Cinnamon), Citric Acid** (natural preservative), Sodium Levulinate & Sodium Anisate** (natural preservative derived from non-GMO corn and fennel), Maris Sal** (sea salt).